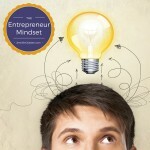 In this audio training, I get to the heart of entrepreneurial success. There are make or break components required for your ability to grow a business. Discover what they are in this free training. If you enjoyed this training, please share it online so that other people can benefit! To receive regular updates and more free training, sign up for my newsletter here.